From the celebrated New Yorker cartoonist and acclaimed author of Cancer Vixen, a brilliant, funny, and wildly imaginative first novel: the story of an influential gossip columnist brought face-to-face with her higher self—and a challenge to change her life for the better. Glamorous, superconnected Ann Tenna is the founder of Eyemauler, a New York City-based Web site that’s always the first to dish the most up-to-the-minute dirt on celebrities and ordinary folks alike. Ann has ascended to the zenith of the New York media scene, attended by groups of grovelers all too willing to be trampled on by her six-inch Giuseppe Zanottis if it means better seats at the table. But as high as her success has taken her, Ann has actually fallen far—very far—from her true self. It takes a near-fatal freak accident on her birthday—April Fool’s Day—and an intervention from her cosmic double in a realm beyond our own to make Ann realize the full cost of the humanity she has lost. 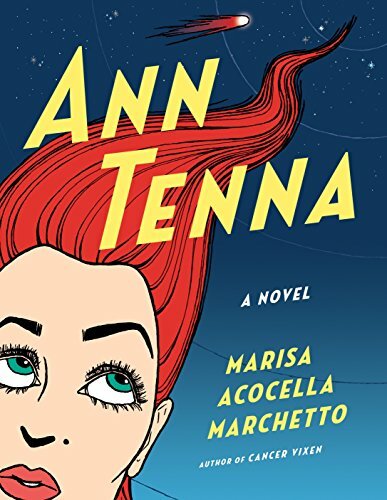 Told with laugh-out-loud humor, spot-on dialogue (including via cameo appearances from Coco Chanel, Gianni Versace, and Jimi Hendrix, to name just a few), and stunning, full-color artwork, Ann Tenna is a timely, necessary tale for our overly “media-cated” times: the newest, much-anticipated adventure from a supremely gifted artist at the height of her powers. If you have any questions about this product by Knopf, contact us by completing and submitting the form below. If you are looking for a specif part number, please include it with your message.